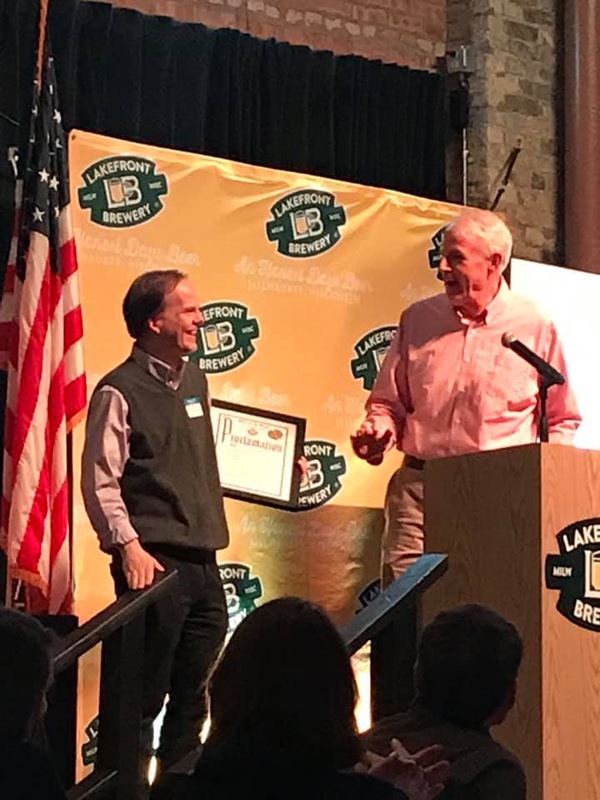 A total of 120 longtime CUB supporters along with folks new to CUB came together Sunday to support consumer advocacy at Lakefront Brewery in Milwaukee, a CUB small business member. 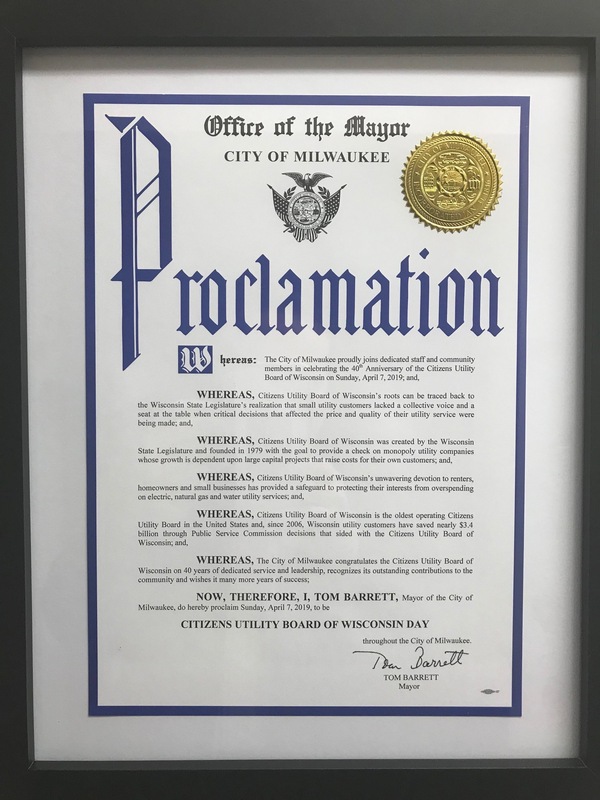 The event featured Milwaukee Mayor Tom Barrett, who issued a proclamation declaring April 7, 2019 “Citizens Utility Board of Wisconsin Day” in Milwaukee, and former Wisconsin Assembly Speaker Jim Wahner, who led the passage of the bill that created CUB in the 1970s. Wahner talked of how Wisconsin became the first state in the country to implement the idea and vision of consumer crusader Ralph Nader to level the playing field between powerful utilities and large businesses and the average homeowner or renter. A nonpartisan nonprofit consumer advocacy organization, CUB advocates for fair treatment of small customers of Wisconsin electric, natural gas and water utilities as well as safe, reliable and affordable service for all customers. Since 1979 CUB has worked for residential, farm and small business utility customers and gives them a seat at the table when critical decisions are being made about their utility service and prices. CUB is launching a drive for 50 new members by June 30. An anonymous donor has pledged to match the first $2,000 donated in support of the drive. Residential memberships start at $40 a year. Not a CUB member yet? Double your donation by signing up now at www.cubwi.org/donate-today/. CUB has saved customers nearly $3.4 billion since 2006 and $84 million last year alone. But the organization remains an underdog in proceedings at the Public Service Commission. On average, utilities outspend CUB in their PSC advocacy by a ratio of 5 to 1. The event at Lakefront is one of a series of 40thAnniversary events planned by CUB. Starting this week, CUB is joining with Outpost Natural Foods Coop in Milwaukee to hold Utility Bill Clinics across Milwaukee County.The first is 6 p.m. Thursday at Outpost Natural Foods in Bay View. throughout the City of Milwaukee.